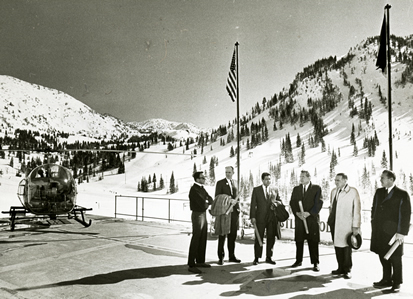 Long before people came to Alta in search of "the greatest snow on earth", they came to mine silver. Alta's first mining claim was staked in 1865 and by 1872 Alta had become a booming town of 8000 residents. Due to economic problems, water in mines, expensive smelting and the demonetizations of silver, the town was nearly deserted by 1880. 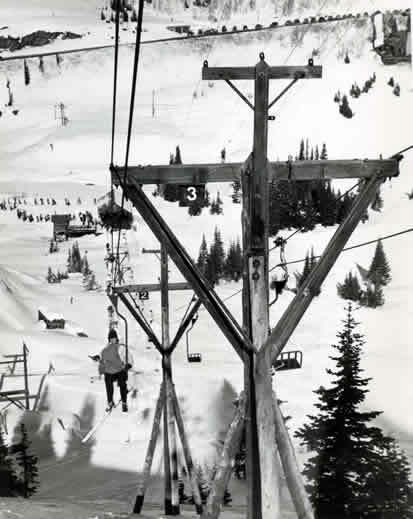 In 1938, Alta Lift Company constructed the first Collins Ski Lift out of pieces of an unused mining tram and logs. 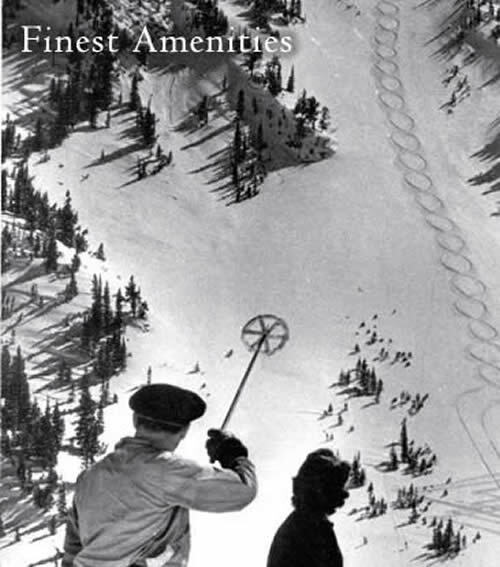 George Watson who predicted, "Alta will be reborn on skis", donated the land to the Forest Service. 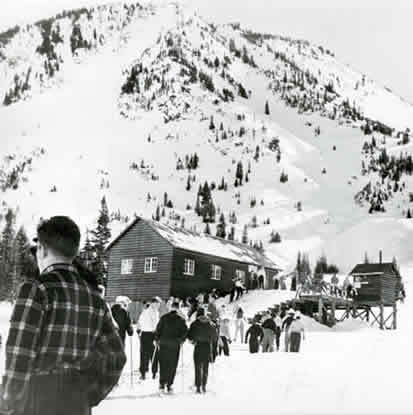 The original Rustler Lodge was built by Howard Stillwell and Sverre Engen. Stillwell was born and raised in Alta in the late 1800's. And Sverre Engen came over from Norway with his brother Alf, the World Champion alpine skier and ski jumper. Alf Engen later founded Alta's Ski School. The Rustler was built on the site where the Alta General Store once stood. 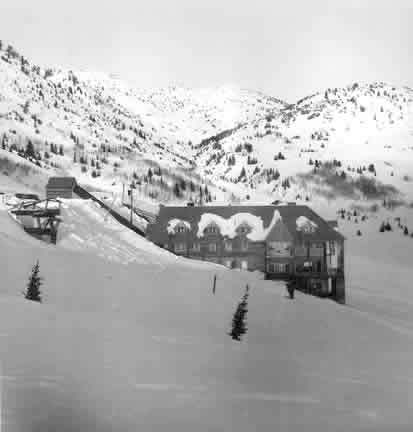 The land was ideal, as it was the only "avalanche-free" hotel area in the Town of Alta (incorporated in 1970). The Rustler opened for business in 1947 with one floor of guest rooms and in 1954, it was purchased by Lee Bronson. In 1955, he added a second floor of guest rooms above the kitchen, now named the "Albion" rooms. An additional 15 guest rooms were added in 1963 below the present-day Dining Room, now called the "Cecret" Rooms. 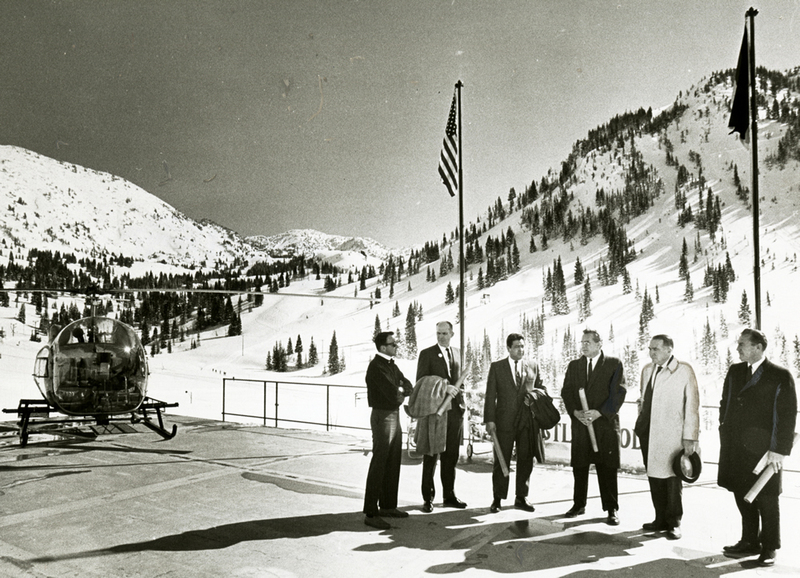 Before the present-day Dining Room opened in 1969, heli-skiing in Alta was pioneered from a helicopter pad located on the very spot where Rustler guests now dine. The Rustler continued to grow in 1973 with the addition of 24 deluxe rooms, now called the "Wasatch" rooms. Conference facilities, the original pool, jacuzzi and sauna amenities were added in 1978. Jeff Anderson purchased the lodge in 1976. In 1997, he added 33 luxury rooms, now called the "Superior" rooms. 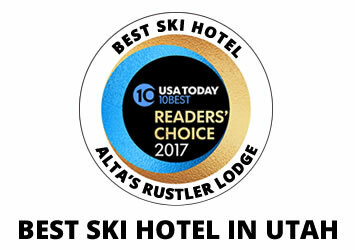 In 1998, he added a new fitness center, jacuzzi, steam room, massage therapy rooms, outdoor heated pool, the Rustler chairlift, as well as the new Eagle's Nest Lounge boasting floor-to-ceiling windows. In the summer of 2013, Jeff continued to enhance the Rustler's tradition of excellence by adding a new spa wing including beautiful indoor and outdoor jacuzzis, a Swedish sauna and new spa treatment rooms. Perched above the spa, overlooking the pool area, five new guest rooms with spectacular views and fireplaces were added, now called the "Alpenglow" rooms. Public areas were also upgraded, enhancing our existing amenities. In 2017, a new front desk area was added, as well as additional guest rooms in the original wing of the lodge with spectacular views, now called the "Albion Deluxe" rooms. With the Rustler's dedicated management team, we will continue to make improvements to enhance the friendly and relaxed atmosphere appreciated by our valued guests from all over the world.